I’ve only just started the spending ban, and even though some orders I placed before the ban are still being delivered, I WANT TO BUY MAKEUP. All of the Models Own Colour Chrome nail polishes! I feel your pain! 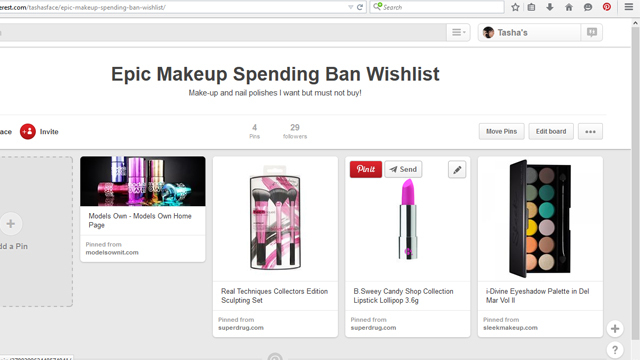 I am doing everything in my power not to buy makeup either…I will follow you on Pinterest! Thank you! I find that setting a deadline, announcing it in public and making a wish list are my tools for survival and motivation to stick to it! A spending ban is such a good idea! Especially because I have an eye for the higher end products haha!